According to the Independent Sector, there are nearly 2 million nonprofit organizations registered with the Internal Revenue Service and the number and the size of the organizations has been growing rapidly. On a regular basis, there are news stories about unscrupulous nonprofits, which draw attention away from the majority who are doing great work with limited resources. Since the 1990s, the press has reported on scandals within specific organizations, (United Way and Covenant House), as well as the misallocation and mishandling of millions of dollars in donations after the 2001 terrorist attacks on the Pentagon and the World Trade Center. Observations and investigations about wrongdoing and indiscretion in the nonprofit sector have led to questions about accountability. More recently, the Red Cross faced allegations about how they calculate program expenses. However, these big stories get the attention of both the public and politicians as they question public accountability of nonprofit organizations. Government regulates nonprofit organizations at all levels (local, state and federal). There is growing public and political will to strengthen existing laws and regulations governing nonprofits. Until the mid-20th century, most nonprofit organizations were local and therefore regulation or oversight of them occurred at the local level by the district attorney or other law-enforcement official. But as the number, size and scale of nonprofits grew, the state attorney’s general office assumed primary responsibility for oversight of charitable organizations. States such as Illinois, have searchable databases containing the financial disclosure documents of registered charities. The State of New Jersey also has a searchable database as well as an app that you download to your mobile device so you can find information on the go. The app, launched in 2011 called “Charity Lookup,” is updated weekly with information from the charity database containing financial records for 26,000 charities and nonprofits registered in the state. The app can be downloaded from the ITunes app store. The State of Washington has a similar app available for download as well. Most states require that charitable organizations register in any state they actively solicit in. But this is complicated by online giving with no active enforcement by the states. In terms of accountability, states require all nonprofit organizations to file financial data and other information on an annual basis and initiate the regulation of solicitation by these organizations as well. But disclosing this information does not necessarily mean the nonprofit is being more accountable for its funds, because the public has to sift through this data and make its own determination about effectiveness or appropriate use of funds. Various efforts for further state regulation have failed at the U.S. Supreme Court. As of June 2011, the State of Oregon set a minimum threshold test for program expenses (less than 30 percent) or the charitable organization would be ineligible for state tax deductibility for gifts received. 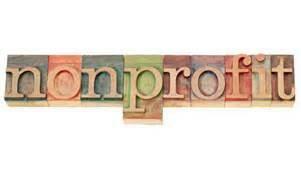 When the Internal Revenue Act of 1894 was enacted, federal regulation of nonprofit organizations was introduced. Previously, the Internal Revenue Service [IRS] certified organizations that met the requirements for tax-exempt status, with the exception of churches. The IRS also requested that nonprofit organizations file an annual information return, known as Form 990, if certain requirements were met such as annual revenue minimums. However, Form 990 is informational in nature and is not set up to easily compare one nonprofit against another, or against certain standards. Information may be missing, incomplete, erroneous or fraudulent. Few of the thousands of nonprofit organizations are audited annually. To meet higher standards of accountability, some nonprofit organizations will voluntarily participate in accountability standards programs. Discretionary self-regulation is an internal organizational development tool associated with the voluntary adoption and implementation of accountability practices. Many third party entities such as nonprofit associations, rating agencies, and industry specific quality assurance organizations (i.e., Better Business Bureau’s Wise Giving Alliance, Charity Navigator and GuideStar) operate to provide rankings and tools for donors to evaluate the performance of nonprofit organizations. Independent Sector has compiled a list of nearly 100 standards and codes that have been developed by a variety of groups and organizations and is available at www.independentsector.org. Admittedly, additional regulation by government will require more resources by the nonprofit organizations to comply with further regulation. Because of this, increased government regulation is a difficult political battle for politicians and an expensive proposition for nonprofits. Author: Alicia Schatteman is an assistant professor in the School of Public Affairs, Department of Public Administration and the Center for NGO Leadership and Development at Northern Illinois University. She received her Ph.D. from the School of Public Affairs and Administration at Rutgers University, Newark. The author can be reached at www.nonprofitscholar.